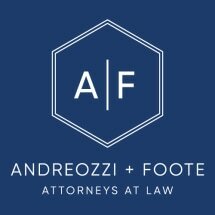 Andreozzi & Associates is not a volume driven law firm like many personal injury practices who assign most cases to paralegals. Rather, the firm handles a select few cases which are thoroughly screened and supervised by attorneys. The success of the firm allows us to spare no expense in representing our clients and when needed we have access to the best experts and cutting edge trial technology. Andreozzi & Associates is dedicated to holding perpetrators and institutions accountable for their wrongful acts in order to assist victim clients toward healing and closure. We take a comprehensive approach in seeking civil justice. First, the firm seeks to hold institutions and perpetrators accountable by forcing them to acknowledge their wrongful actions. Second, we pressure institutions to change their policies and procedures to ensure that wrongful actions do not repeat themselves. Finally, we strive for maximum compensation so clients have the resources necessary to get their lives back on track.